Pachmarhi is a place where you would not run out of things to do. Nestled in the hills of Satpura, Mowgli’s home awaits you at Pench National Park. Sanchi brings to you a galore full of Buddhist Monastries, Holy Shrines and Pillars. Everybody at Satpura, makes it a point to provide you with the best they can. Taking you back to history, with its rock art, is this magnificent heritage site called Udaigiri Gyraspur Caves. Escape the monotony of Life with exciting adventures in Madhya Pradesh! Well known as the Summer Capital of Scindia Dynasty, Shivpuri has something for everyone! 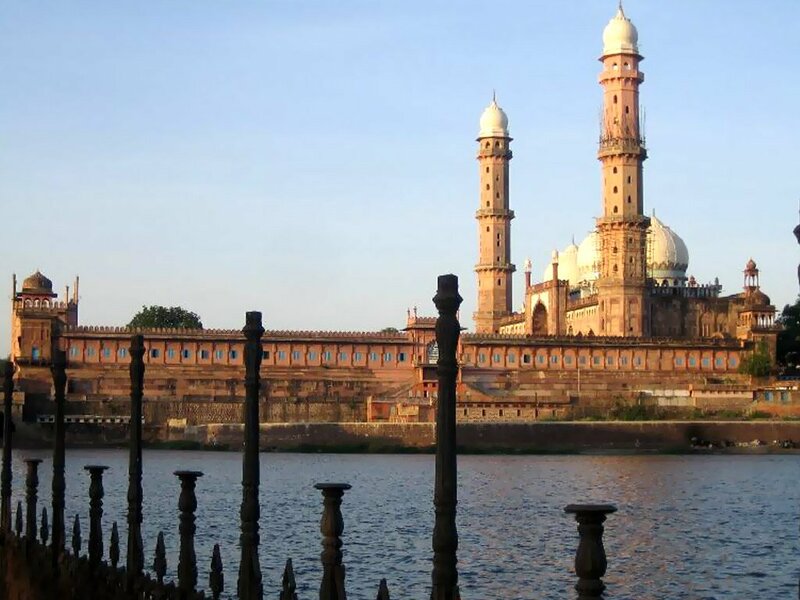 Popular as the city of lakes, Bhopal is the capital city of Madhya Pradesh. Nestled amidst seven hills and on the banks of two lakes, the city is thriving with the legacy of its Mughal rulers and is blessed with ample pulchritude. The city is a perfect blend of rich art forms, culture and traditions. Found by King Bhoj in 11th century AD, Bhopal was reined successively by four generations of Begums (Queens). The city yields a profuse cultural and traditional hub for visitors from around the Globe. The splendid museums, art galleries, lakes, historical monuments, magnificent architecture take you to an era of grandeur and affluence. Therefore we have mustered a gist of all that this buoyant city has to offer. So if you happen to be in Bhopal or nearby, do not miss these places because if you do, you might end up feeling rueful. Here, you will see different cultures, customs and rituals of our tribes- the Gonds, Bharias, Korku, Sahariya, Bhil, Baiga and Kol– the museum is a rich repository of traditional aesthetics and artworks! Sculpted and styled by more than 1500 artists and craftsmen, hailing from remote corners of the state like Jhabua, Dindori, Alirajpur and other districts, the museum is nothing short of a ‘communication tool’ disseminating beliefs and traditions of the indigenous people! This is surely not less than paradise on Earth! Located in the heart of the city, within the DB City Mall, the hotel offers an unmatched level of service and amenities. A fitness centre and an outdoor pool with a remarkable view of the city, ample parking space, indoor and outdoor venue space, all this in the prime location of the city allows you to work, play, and explore with ease! 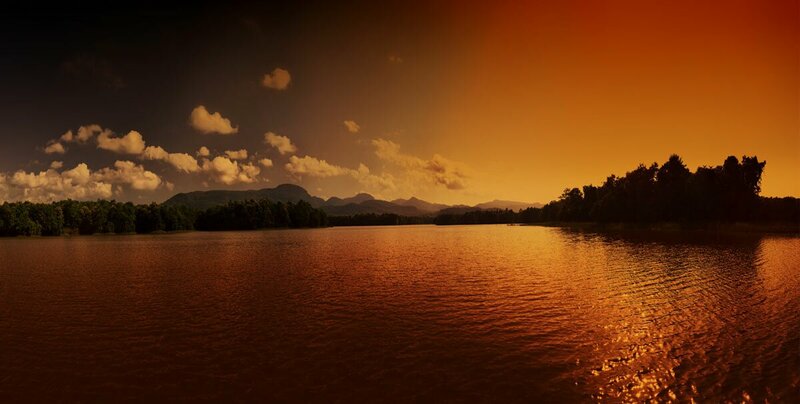 Pachmarhi is also called the Queen of Satpura hill range! Heart capturing waterfalls, scenic sites, large mountains and lush green hillocks, stretched over huge distances in dramatic natural splendour! It is the most visited hill station in Central India. This place was discovered by officer of the British reign, Captain James Forsyth long long ago. The Britishers often used to come to this place to enjoy the scenic beauty in Pachmarhi. With the Sunrise you will hear the chirping of birds, murmuring rivulets, waterfall and experience the hypnotic hills and shadowy trees. You can attain a spiritual peace in the beauty of Nature. Pandav Caves, 150 feet- Bee fall, Dhoop-garh, Duchess Fall, The big silver Rajat Pratap Fall, the beautiful Pachmarhi Lake, Chauragarh, Jata Shankar, Reechgarh, 60 feet long cave-Bada Mahadev, Gupt Mahadev and still more to discover! When the summer is on its high and if one wants to beat the heat, Jehan Numa Retreat offers a perfect chance to cool up your mind and please your stomach. A natural setting with lavish corridors, wooden furniture, green grass and plantation, crystal clear azure pool and not to forget the Spa, wherein you can pamper and rejuvenate yourself with its exquisite and soothing body treatments! Along with that a warm welcome and hospitality and a special When the summer is on its high and if one wants to beat the heat, Jehan Numa Retreat offers a perfect chance to cool up your mind and please your stomach. A natural setting with lavish corridors, wooden furniture, green grass and plantation, crystal clear azure pool and not to forget the Spa, wherein you can pamper and rejuvenate yourself with its exquisite and soothing body treatments! Along with that a warm welcome and hospitality and a special. Kerwa Dam, surrounded by hills and greenery, is a popular hangout on the outskirts of Bhopal. A popular weekend getaway among the Bhopalis, Kerwa could be the place you seek to de-stress. Lying beside a tranquil water body at dusk would be all to assert goodbye to a hectic day and relax your mind, body and soul. Rappelling, Trekking, Flying Fox, Rope Walking, Monkey Crawl and many more activities to discover! The Bhojeshwar Temple situated in Bhojpur, near Bhopal, was built by King Bhoj in 11th Century. As the legends have it, this temple was never completed and still the construction and maintenance work keeps running across the year. This temple has probably the tallest man made Shiva Linga in the world! From mountain biking to bullock carts to local cuisines, there are several reasons why Samardha Camp is a paradise for camping aficionados. Located 30kms from Bhopal, it might just be the weekend escapade that you seek! Beyond the cosy tents and melodious tribal folk songs, forget not to look for animals camouflaged in the woods! Commencing on 26th January marked as the Republic Day of India the Lokrang Samaroh in Bhopal begins its five day fervour embracing and portraying a wide variety of cultures from around the world. Lokrang Samaroh brings into spotlight, various withering cultures from across India that have been on the verge of fading into oblivion. The five day festivities are centred on a particular geographic region of the country and showcasing its varied Tribal and Folk cultures. The chief rationale behind the fest is eradicating geographical differences between the people and bringing India as a unified whole! Bharat Bhavan is a pivotal museum and centre for visual and performing arts. Bharat Bhavan is a must visit for art lovers and enthusiasts from all over the globe. It houses a fine arts workshop, an art gallery, an open-air amphitheatre, a studio theatre, an auditorium, a museum of tribal and folk art, libraries of Indian poetry, classical music as well as folk music. The superb landscaping and interactive activities of visual, performing and vocal arts add to the splendour of this famed museum. The Udayagiri Caves, 60 km from Bhopal, is an early Hindu ritual site located near Vidisha in the state of Madhya Pradesh, Central India. They were extensively carved and reworked under the command of Chandragupta II, Emperor of the Gupta Empire, in the late 4th and 5th century CE. One of India's most important archaeological sites from the Gupta period and is best known for a series of rock-cut sanctuaries and images excavated into hillside in the early years of the fifth century CE. In addition to these remains, Udayagiri has a series of rock-shelters and petroglyphs, ruined buildings, inscriptions, water systems, fortifications and habitation mounds, all of which have been only partially investigated!